Utah $1,900 • April 22-27, 2019 Note: This trip is full. 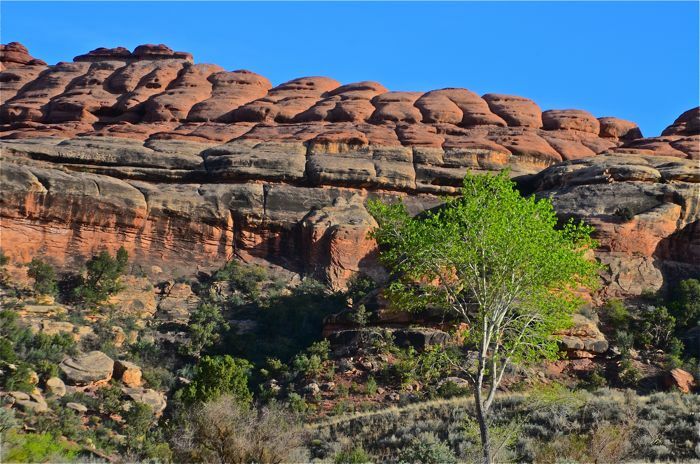 The wild backcountry of Canyonlands National Park is one of the most colorful and awesome landscapes on earth. 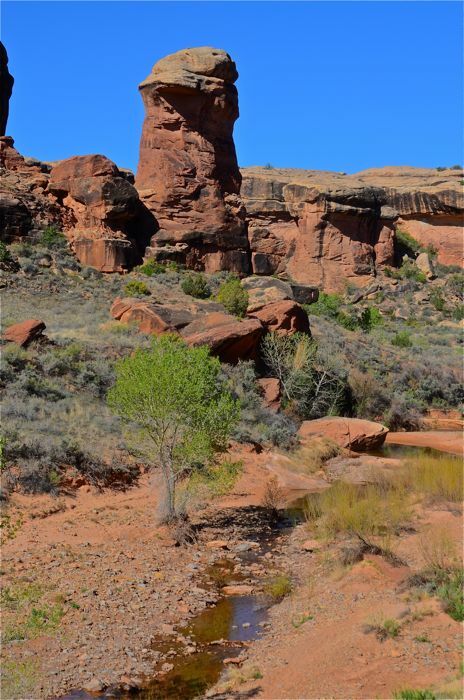 Sheer canyon walls, mesas, arches, hidden grasslands, cool desert streams, and an unbelievable profusion of spectacular rock formations characterize this magnificent portion of the Colorado Plateau. Wildlife includes desert bighorn, puma, bobcat, coyote and golden eagle. We usually encounter and explore some fantastic and haunting ruins of ancient cultures.This is classic red rock canyon country, absolutely beautiful and other-worldly. Though the region is high desert, the diversity of life and its adaptations to a harsh environment are truly amazing. Warm sunny days are the rule, but the high desert weather can be unpredictable. This trip is moderately easy and its base is Moab, Utah. 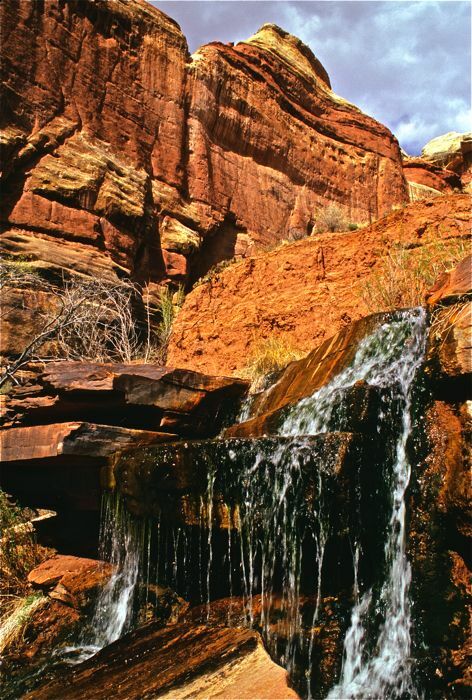 This trek is in the wild backcountry of Salt Creek, a beautiful red rock canyon with cool, clear year-round water and lush vegetation. We usually hike down the canyon from beginning to end, and hire a shuttle service to move our vehicle while we’re in the canyons. TREK BASE: Moab Valley Inn, 711 South Main, Moab, UT 84532; 800-831-6622 or 435-259-4419. MEETING TIME: Pre-trip orientation including food/gear handout plus safety talk at 6 PM the evening prior to the first trip day. For example, if the trip is from the 3rd to the 9th, the pre-trip meeting is 6 PM on the 2nd. TRANSPORTATION: Air service to Moab; For airport shuttle to motel call either Nomad Cab 435-260-9986 or Coyote Shuttle 435-259-8656. Alternative: fly to Salt Lake or Grand Junction and rent a car. TREK RATING: Because there are few uphills with packs, we rate this trip moderately easy. Daily mileage is modest, usually 4-7 miles, depending upon our chosen camp. ELEVATIONS: 5500-6500 feet. We typically start high and hike down into and along the canyons. WEATHER: Warm sunny days and cool to frosty nights are typical; however, spring weather on the high desert plateau occasionally brings cold wet storms, so be prepared for anything from 80-plus degree heat to cold rain and even snow. FISHING: There was probably great fishing during the Pleistocene. SPECIAL FEATURES: An absolutely gorgeous, otherworldly and colorful landscape of sculpted sandstone and unique high desert vegetation. Spring wildflowers or golden autumn colors. There are lots of nesting and migratory birds and other wildlife. 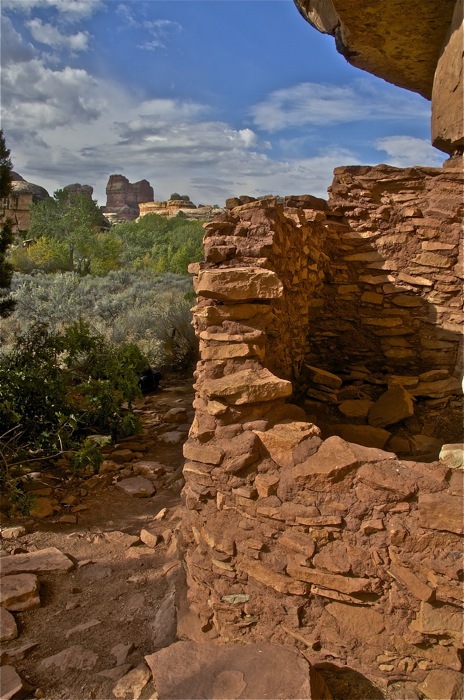 On most routes we’ll see fascinating and well-preserved ruins and artwork of ancient canyon cultures. SPECIAL TIPS: Bring plenty of color film or camera batteries. We do recommend that you treat the water. Streams can be silty, so backup your filter with iodine tablets in case the filter clogs. STATUS: Due to local/regional politics, the park backcountry has not been designated Wilderness under the Wilderness Act of 1964. So the Park Service allows and even encourages the use of 4-wheel drive/all-terrain vehicles in some parts of the park, though not in the areas we visit. This argues for Wilderness designation! 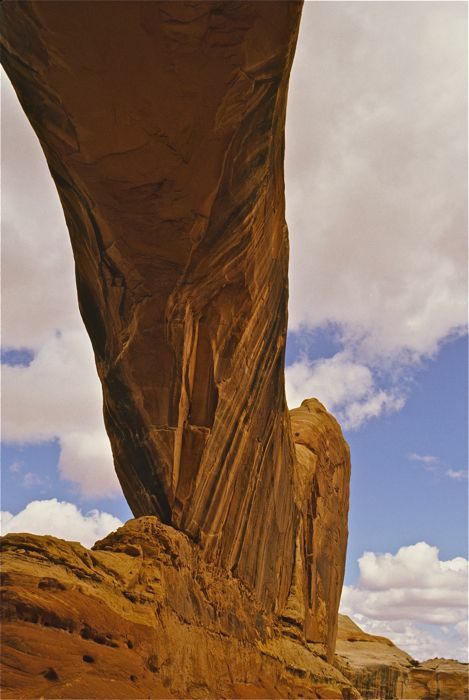 ITINERARY: We usually visit a remote part of the Needles District, and the trailhead is about 1½ hours driving time from Moab. Most years we’ll end up at a different trailhead than where the trip begins, and you can always count on at least one layover. Please note: We vary the route and camps from year to year depending upon local conditions and other factors, mileages and elevations are approximate. Return to the main Utah backpacking page to reach about other treks.